This stinking weather. It has, however, meant I’ve been reading more than usual because it’s too hot to do anything else. Which is weird, because when I lived in the UAE, where it gets way hotter than this during the summer, I used to read loads – and everywhere out there had really effective air-conditioning. Every other Thursday, I’d take taxi out to the Daly Community Library – a room in a church centre attached to the Al-Khubairat English-speaking school – and check out four books. I’d usually finish one by the end of the day. Admittedly, there wasn’t much to do there. The TV was rubbish, I didn’t have the internet at home, the selection of DVDs for sale was poor (even the ones unapproved by the Ministry of Information I used to buy under the counter)… On the other hand, my commute to work was a 500-metre walk. 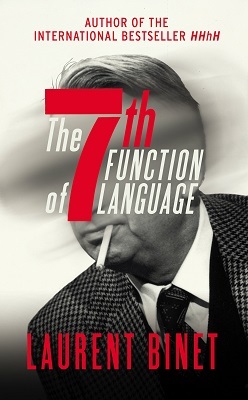 The 7th Function of Language, Laurent Binet (2017, France). In 1980, Roland Barthes was hit by a van, and died a month later from injuries sustained in the accident. Binet supposes that Barthes was carrying a document wanted by several groups of powerful people – including the government of President Giscard d’Estaing. And some Bulgarian assassins. Who may or may not have been working for the Russians. A superintendent from the Renseignements Généraux, Bayard, is tasked with investigating the accident, and recruits a young semiologist professor, Herzog, to help him. The two discover the existence of the Logos Club, where members debate each other for advancement, and challengers lose a finger if their challenges are unsuccessful. Bayard and Herzog bounce around literary theory and semiotics, through a series of clever set-pieces and in-jokes, and it’s all to do with Roman Jakobson’s theory of language and its six functions – or, in this case, a mythical seventh one which allows the speaker to coerce the listener – which may have been in Barthes’ possession, and which politicians are keen to discover, especially French ones… Not only is The 7th Function of Language a fun and clever mystery novel, but it’s also a fascinating exploration of semiotics and the theories of Barthes, Foucault, Jakobson and others. A lot of the characters who appear are real people, and a number of the events in which Bayard and Herzog find themselves involved also happened in real history. As in his earlier HHhH (see here), Binet frequently breaks the fourth wall, although the process of writing the novel does not feature here as it does in the previous novel. I picked up a signed hardback of this book in a Waterstone’s promotion, but hadn’t planned on hanging onto the book once I’d read it. But I think I will. It’s an entertaining read and it’s made me want to read up on Barthes and Foucault and semiotics. 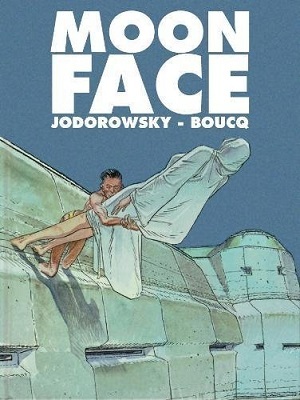 Moon Face, Alejandro Jodorowsky & François Boucq (2018, France). Jodorowsky seems to be on a roll. While he continues to contribute to a number of long-running properties – and in the case of the Metabarons appears to have licensed the property to others – he’s also churning out new stuff. Like Moon Face. On an island under a repressive regime, which regularly experiences tsunamis, there appears a man with somewhat undefined features, the Moon Face of the title, who can control the tidal waves. His appearance triggers a whole series of events, which eventually leads to the downfall of the island’s autocratic and arrogant rulers. 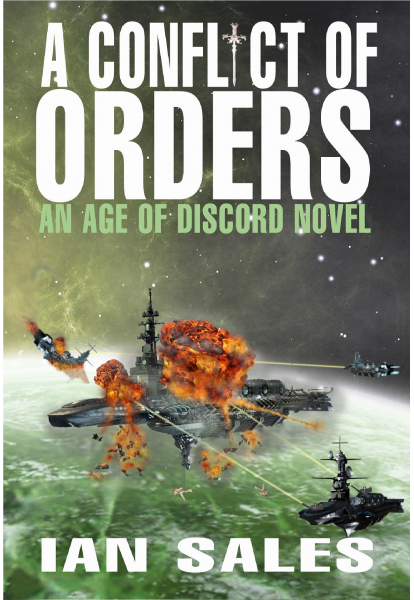 At one point Moon Face prompts the rebuilding of a destroyed cathedral, and when a false messiah, tricked into appearing by a rebellious faction, destroys the cathedral Moon Face triggers a second rebuild and… Well, this isn’t an easy book to summarise. It’s thick with religious references and allusions, and while Jodorowsky pretty much always does that in his works, it’s far more in-your-face here than in other books. It doesn’t help that the villains are all a bit pantomime, which makes it all somewhat one-sided. Boucq’s artwork is lovely, however. And if Jodorowsky’s scripts feels a bit obvious in places with its religious – well, Roman Catholic – references and allusions, it doesn’t detract from the story as drawn. Beatniks, Toby Litt (1997, UK). 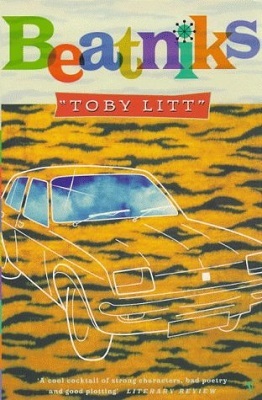 Litt began has career by stating that each of his novels would be titled alphabetically. 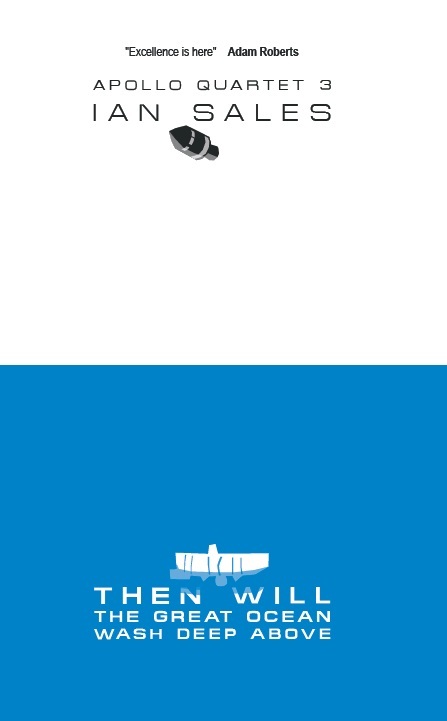 so, obviously, Beatniks is his second book (but actually the fifth book by him I’ve read). He’s currently at “N”, and he started in 1996, so he’s not managing one a year. I first came across Litt with Journey into Space (2009), a generation starship novel. I seem to remember it wasn’t bad – the prose was better than most sf novels, but the science fiction itself was a bit old-fashioned. But I liked the idea of publishing books with alphabetical titles, so I kept an eye open for his books. He’s been a bit of a gadfly, as no two books have been the same. Beatniks is not atypical for UK lit fic. It’s set in Bedford, Litt’s hometown. A young woman is invited to a party, where she meets three people – two bloke and a woman – who refuse to acknowledge anything that happened after Dylan went electric. She can’t decide if they’re complete poseurs, but she fancies one of them so she tries to get them better. It all ends up with a trip to Brighton, where they learn a bit more about each other than they perhaps wanted to. It was hard to sympathise with the three “Beats” as they seemed to behave in a wilfully ridiculous manner. The narrator at least was sympathetic. But it all hung together entertainingly. A fast read, and enjoyable, and perhaps a little more memorable than some of Litt’s other books I’ve read. The True Deceiver, Tove Jansson (1982, Finland). Jansson is of course best-known for the Moomins, but she also wrote a number of novels for adults, and in recent years they’ve been translated into English. 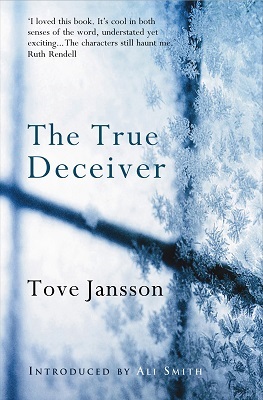 In The True Deceiver, a young woman in a remote Finnish village – but Swedish-speaking, I think – organises her way into the life of an older woman who illustrates children’s books. Katri is something of an outsider in the village, partly due to her colouring, partly due to her independence and unwillingness to compromise that independence. She has a younger brother, who seems to have a learning disability, and works unpaid at a boat-builders. Katri persuades Anna, who lives in the “rabbit house”, named because she paints rabbits for children’s books, and who is also the richest person in the village, to allow her to help her, and then slowly takes over her affairs. She moves in, at Anna’s invitation, with her brother, but her plan is to stay on in the rabbit house after Anna has died, and provide for her brother. But Katri is scrupulously honest, and she ensures Anna is not being cheated by local merchants, especially the shop-owner. She is so honest, and so good at maths, that her advice is sought by people, even those who dislike her. There are levels of deception here, which is what the title refers to. Katri: to herself, the villagers, most of all Anna. Even Anna herself, although the victim of her deception is… herself. The prose is clean and clear, although it has a tendency to drift into a sort of story-telling mode, as if the author were directly addressing the reader. Given that the story is framed as if it were a fable, it seems appropriate, even if the contents are not especially fable-like. Worth reading. Emprise (Trigon Disunity 1), Michael P Kube-McDowell (1985, USA). I don’t remember where and when I bought this trilogy, but I suspect it wasn’t long after they were published (these Legend editions were all published in 1988). I think it may have been at a convention, given that the third book, Empery, has “£1” pencilled inside the cover. Anyway, I’m pretty sure they went into storage when my parents returned to the Middle East in the early 1990s, and I didn’t see them again until I moved into my current address in 2004. So I’ve had them for around twenty-eight years, and they’ve sat on my book-shelves here for fourteen years before I’ve finally got around to reading them. 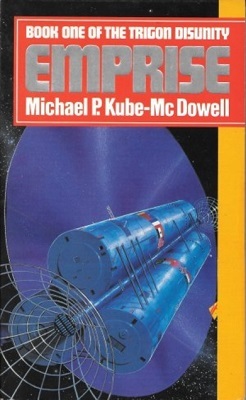 And… Emprise was Kube-McDowell’s debut novel. And so too for the sequels, Enigma (below) and Emprey. 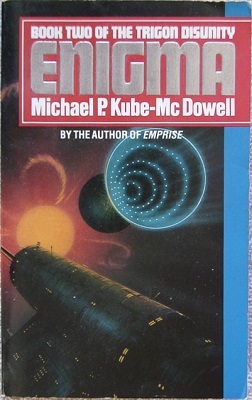 I’ve read other novels by Kube-McDowell – The Quiet Pools (1990) and Exile (1992) – but Emprise is not very good. It opens with a history lesson, which is never a good sign. Apparently, in the 1980s a secret group of scientists discovered a way to render all fission weapons inert. And they used it. This led to a series of short wars, and a total backlash against science. Both of which we’ve managed during the past 30 years anyway, without rendering nuclear weapons useless. In a regressive US, a lone secret radio astronomer discovers a signal. From a spacecraft approaching the Earth at near light-speed. 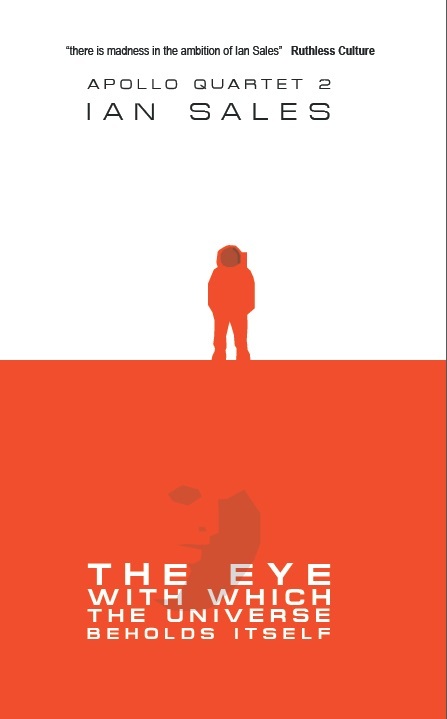 He passes the news onto a British colleague… and within a few short years, there’s an international organisation, led by the prime minister of India, set up to build a spacecraft to meet the alien before it gets too close to the Solar system. When news of the alien breaks, it leads to a Church of the Second Coming, which believes the spacecraft contains angels. 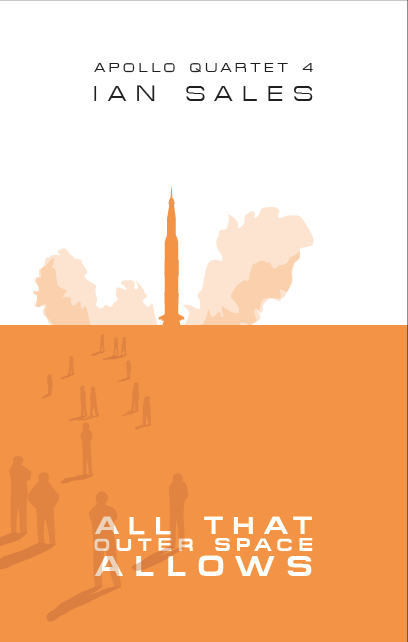 Anyway, the Earth spacecraft gets built and intercepts the alien… And its crew are human. From a colony apparently founded from Earth. By a technological civilisation which was wiped out by the last Ice Age. 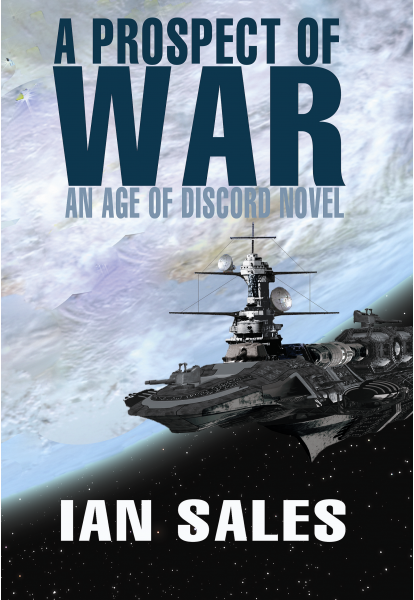 Publishing has changed in the thirty-plus years since Emprise was published, and debut novels these days are way ore polished than this one. A lot of the story is massively Americocentric, despitr not being set in the US. 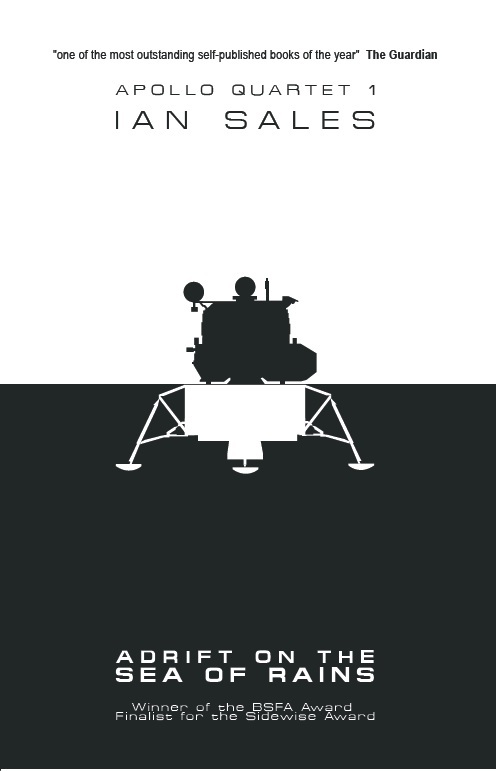 That church, for example: it becomes so powerful, it threatens to shut down the building of the spacecraft. There is no mention of any other religion. Indeed, the Indian PM’s religion is never actually named. If I had had all three books on my bookshelves, and felt slightly guilty for owning them so long without reading them, I doubt I’d have bothered with the sequels. Avoid. Categories: book review, books, reading diary 2018 | Tags: alejandro jodorowsky, françois boucq, lauren binet, michael p kube-mcdowell, toby litt, tove jansson | Permalink.